It's simple. Flick a switch, turn a key, push a button-the power comes on. Most people take it for granted. But keeping the power flowing is not easy. Power companies go to great lengths to maintain the 4.5 million miles of power lines in the U.S., and this means taking good care of every square foot beneath them. That's where we come in -----Helicopter Minit-Men,Inc. has been working to keep the power on for over 45 years. Our fleet of MD500 helicopters coupled with the latest in spray technology and pesticide science ensures accurate placement and unparalleled control of undesirable vegetation in the right-of way. 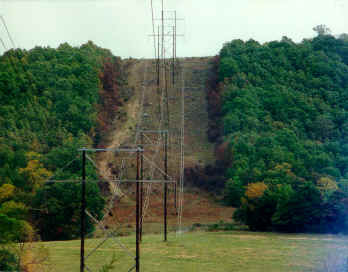 Aerial Application is the most efficient and inexpensive method known to remove brush from underneath power lines!